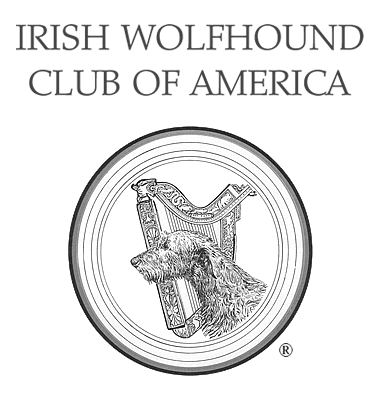 Home - Irish Wolfhound Club of America, Inc.
We hope our website will help you find the information you need. There are links to dozens of resources, articles and contacts for you to explore. Enjoy your visit and bookmark our site so you can easily return for new information! Are you considering adding a Wolfhound to your family? Perhaps you have seen an ad for “Irish Wolfhound Puppies for Sale”? Please visit our section on Finding Irish Wolfhound Puppies for important information on selecting a good breeder, what to look for in a healthy puppy and much more. Do you have a question about your Wolfhound’s health or care? Visit the Health section to be directed to articles and resources regarding health conditions in the Irish Wolfhound. The IWCA serves as the national parent breed club within the American Kennel Club. Our goals include encouraging the highest quality of Irish Wolfhounds as described in our Standard of Excellence and providing education for owners, breeders, judges and the general public. Our annual National Specialty includes conformation, obedience, rally and coursing events. The IWCA also sponsors health research initiatives and rescue efforts on behalf of our hounds. As we close 2018 and begin 2019, we look forward to Westminster Kennel Club, the IWCA National Specialty, and all the regional IW club specialties with our up and coming pups, our specials, and our veterans. Watching us from another plane will be several noted IWCA members who used to stand beside us.